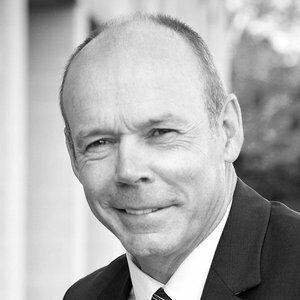 Clive Woodward famously guided England to victory in the 2003 Rugby World Cup and three Six Nations tournaments, including an elusive Grand Slam. He has since served as Director of Sport at the British Olympic Association, working in partnership with UK Sport. Early in his career Clive enjoyed success on the pitch, winning 21 caps as a player and twice touring with the British Lions. He also worked in business, first with Rank Xerox in the UK and Australia. He then became sales director of a leasing company within the Ford Group, before forming his own successful leasing operation. Clive was universally credited with bringing professionalism, cutting edge techniques and new management skills to English rugby. As he explains in speeches, the squad’s achievements were built on back-room expertise, close attention to detail, thorough mental and physical preparation, competitor analysis and ruthless decision-making. After leaving rugby Clive became Technical Director and Director of Football at Southampton, and a UEFA qualified coach, before joining the British Olympic Association with a mission to integrate coaches and athletes from all sports into Team GB. London 2012 produced the most successful British performance of the modern era, with 65 medals including 29 golds. Clive sets out the four attributes needed to create any winning team: talent, teachability, pressure and will. Using what he calls ‘T-cup moments’ (thinking correctly under pressure), he shows how to prepare for a contest by setting up potentially challenging situations and asking individuals to work out exactly what they would do in each.